Founded in 2000, Coolblue is one of the three largest online retailers in the Netherlands and Belgium, with over 1,700 employees. With an annual turnover of €550 million in 2015, it is experiencing consistent growth of 50% year on year. 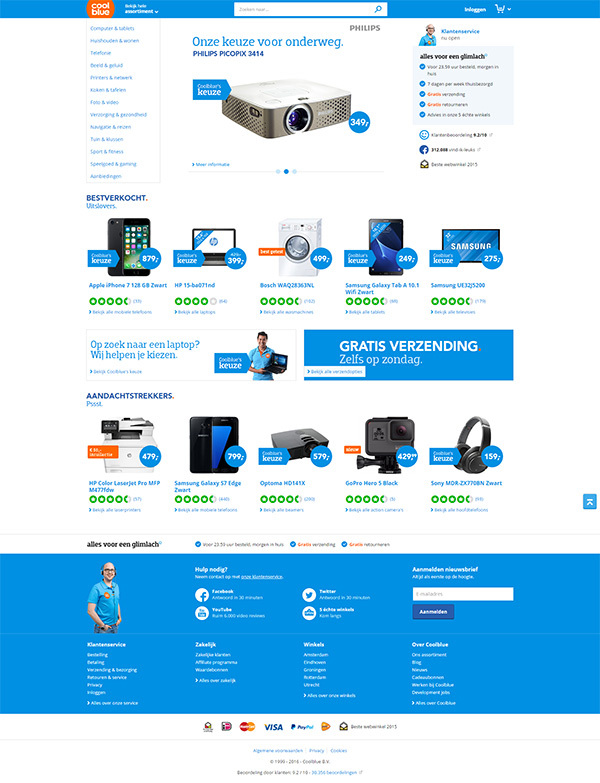 From fridges to fitness machines, Coolblue has been selling white goods and home electronics online in the Netherlands since 2000. Today it’s one of the top three online retailers in the Netherlands and Belgium, with more than 1,700 employees and a turnover of €550 million a year in 2015. 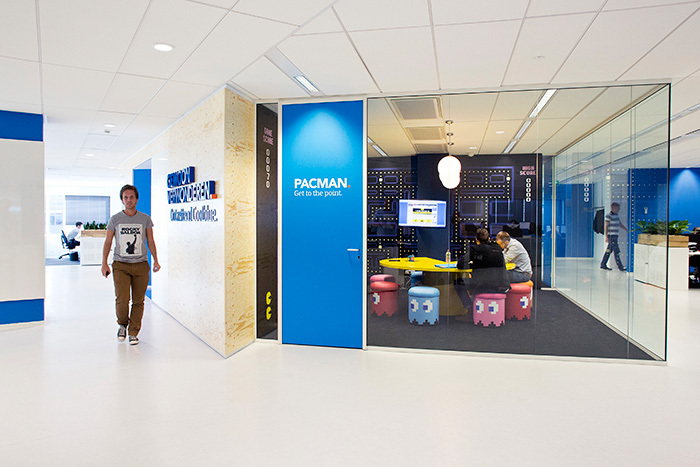 For two years running, Intermediair magazine has named Coolblue alongside Google and Apple as one of the best places to work in IT in the Netherlands. Behind the success lies Coolblue’s creative team of 160 developers, keeping the company at the cutting edge and focused on its goal to become the region’s number one online retailer. The over-complicated setup would force data through a series of different systems and transformations. Robert offers an everyday example: “We had GAP exporting to Google BigQuery, so to merge that data with other data in a spreadsheet we had to export from BigQuery to Google Cloud Storage, move the data to S3, run it into Hadoop, export it to an on-premises SQL Server, then export it to Excel.” Some processes would take over eight hours to run, and inefficiency was holding the company back. At first, Robert and his team considered redesigning the whole system on a SQL Server. But concern that the same problems would arise again propelled them towards a more forward-looking solution: an integrated platform that could handle data from all kinds of sources, incorporate streaming, run in real-time, and enable sophisticated data analysis. “We wanted to be able to build new, advanced functionality in order to provide the best experience for our customers,” says Robert. The new platform had to be cost effective and reliable, too, so that Coolblue’s creative developers could focus on adding value instead of on maintenance. Coolblue ran an initial trial and hack-week with Google BigQuery and Google Analytics 360, supported by Google’s service partner Datatonic. "Once we experienced the simplicity and cost-effectiveness of a fully-managed solution," says Robert, "Google Cloud Platform was the clear choice for our data needs." Once Google Cloud Dataflow had been added to the mix, Coolblue used their greatly increased speed and data processing capacity to create data-driven features. Because Google Cloud Platform enables data streaming, the engine doesn’t have to depend on cookies that risk interception by adblockers. Currently, the engine operates using three days of logged data. Moving ahead, Google Cloud Storage will be used to keep an ongoing repository of all data logs to deliver an even stronger personalized shopping experience through recommendations. It’s an experimental, step-by-step approach made possible by GCP’s costing policy, which lets Coolblue pay only for the capacity they use and scale rapidly without prohibitive upfront investment. Coolblue’s architects supplement their bias for Google Cloud Platform managed services with components running on Compute Engine when they find other tools that they love, such as Airflow or Tableau. Coolblue is now building a modern data platform on which to run their race to the top. It’s fully managed to save Robert’s team valuable time, yet keeps them on the cutting edge. Real-time data streaming through Google Cloud Platform hasn’t just increased processing speed, it’s opened up a whole new set of possibilities for data-driven features. Using Google Cloud Platform, Coolblue can now focus on its obsession - delivering products that best fit their customer’s needs.